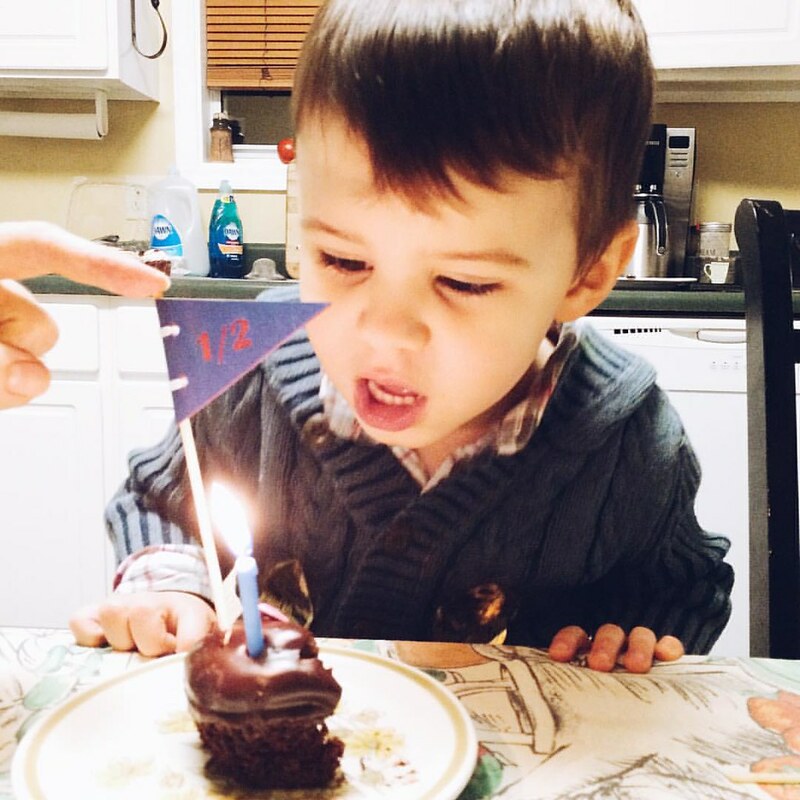 Luther's third half birthday occurred on December 6 when we were down in Tennessee visiting my parents. Mom made him a 1/2 birthday flag, and we bought cupcakes at a local bakery that we cut in half. We sang half of "Happy Birthday" to him. And then we ate the other half of our cupcakes, because you can't really just eat half of one. Happy half birthday dearest love!